The wind is howling and leaves are swirling through the air. It is definitely autumn here in New Jersey, and not a moment too soon. For whatever reason, I feel very comfortable in weather like this, even when I'm not outside in it. Now that things like sugar pumpkins, apples, and cider are in season, I've been trying to get as much out of it as I can. This weekend, Alex and I took a short trip up to New Paltz to pick up a half bushel of Ida Red apples, apple cider, and cider doughnuts from Jenkins-Lueken Orchards, and some New York maple syrup from Oliverea Schoolhouse Maple at the farmer's market! 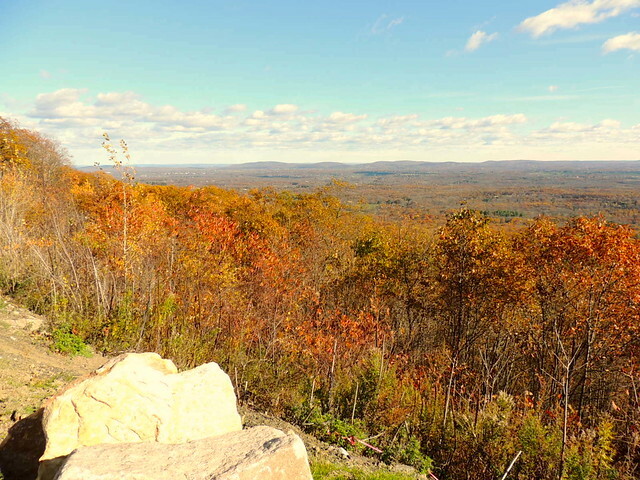 We drove up to an outlook to take in the view before we left. We'll be busy working our way through all that the next few weeks! Pro tip: After pureeing pumpkin, place in a fine mesh sieve to allow the excess liquid to drain. 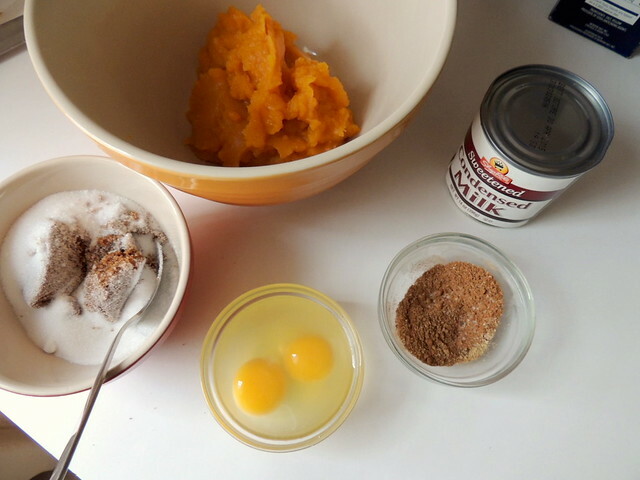 The ingredients for this pie consist of the pumpkin puree (fresh or canned), spices (a blend of cinnamon, ginger, nutmeg, and cloves), eggs, and three types of sugar: sweetened condensed milk, brown sugar, and white sugar. Anyone who knows anything about the 100 Acre Woods knows that condensed milk is one of the main food groups, second only to honey. Not shown is the blind-baked pie crust. Pour into prepared pie crust and bake. 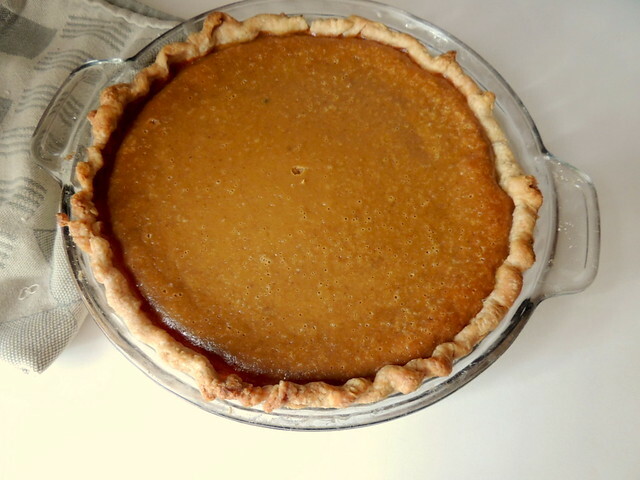 What you see here is a mighty fine piece of pumpkin pie. 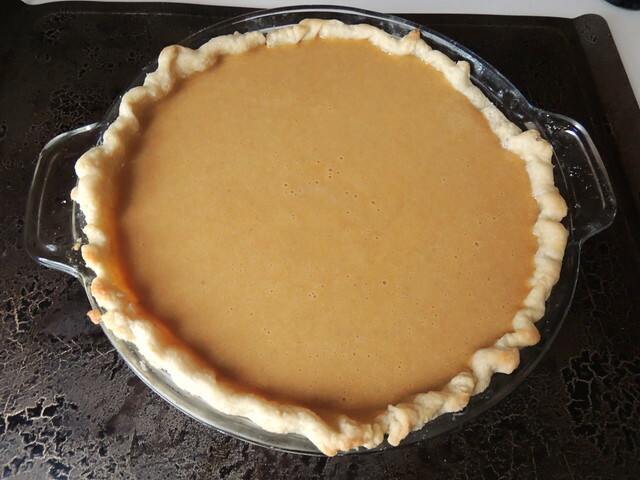 The filling is smooth and custardy, the crust is perfectly browned on the bottom, and now I get to enjoy some pie for the next couple of days while listening to the howling wind outside. To make crust, sift together dry ingredients. Using pastry blender or processor, cut in shortening and butter until mixture resembles coarse meal. 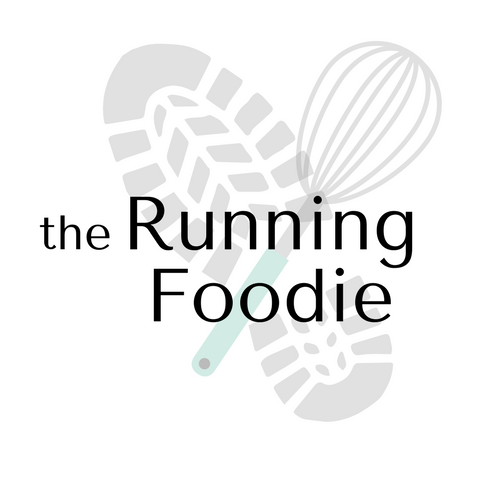 Sprinkle water over dough and mix with fork until pastry is moist enough to form into a ball. Roll out dough on a lightly floured surface into a 14" round circle. Transfer and press into 9" pie pan. Trim overhand and crimp edges. Chill in freezer for 15 minutes. 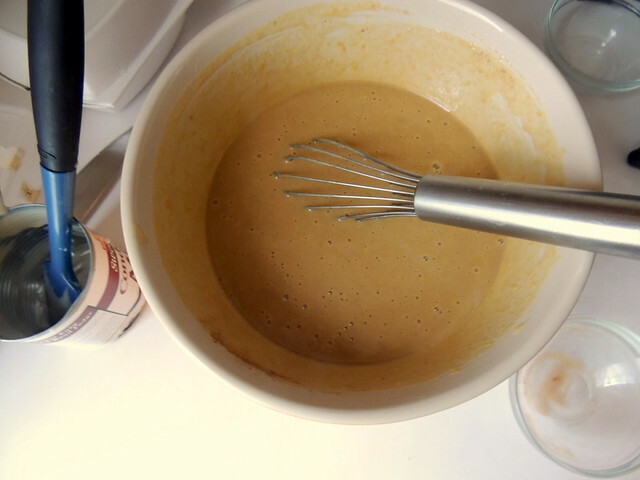 To make the pumpkin filling, whisk all the pie ingredients together in a large bowl until blended. Pour into the prepared crust. Bake for 10 minutes, then lower oven temperature to 350°F and bake for an additional 40-50 minutes, or until knife inserted in center comes out clean. You gotta try it, Tiffany! We were just chatting about making pumpkin pie. I need a super easy and simple recipe because god knows I'll mess it up. LOL. This looks really good and thank you for sharing. You can do it! Super easy. A prepared pie crust makes it even easier! Wowowow. I want a slice of that pie right now. It's gorgeous! I love that you made your own filling. I tried doing that once but I wasn't impressed. It probably depends on the pumpkin, though. I must have had a bad pumpkin! I need to give it another try. It's tough to tell pumpkin quality. But what I've found with squash in general is that the finished product tastes like something I can eat straight up, unlike pumpkin from a can. But I still use canned stuff regularly. 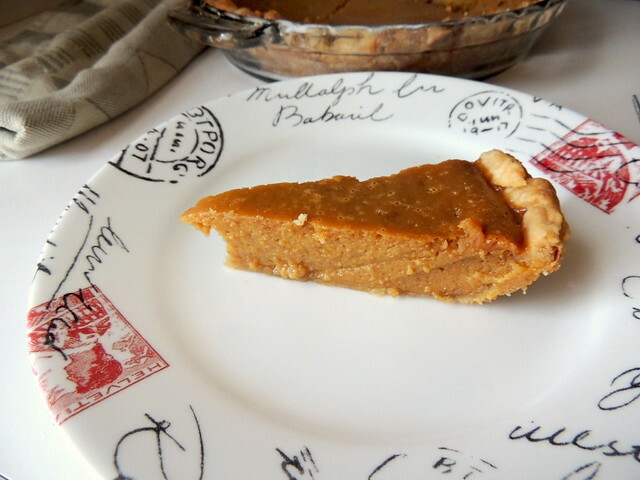 i love pumpkin pie! this sounds delicious.